Quick Answer: For its third live-action reboot of "The Jungle Book," Disney made one noticeable modification: Kaa, previously the goofy, villainous Indian python is depicted as female, voiced by Scarlett Johansson. In reimagining Kaa's gender, Disney enhances the snake's already seductive qualities made even more alluring by Johnasson's husky, sultry feminine voice. Without the comical quality of her male forebear, Kaa comes across as a slippery, calculating femme fatale who is more sinister than previous incarnations. Director Jon Favreau states that changing Kaa's gender was an attempt to right an imbalance of having all male characters in the film. However, by changing the snake into a woman, The Jungle Book arguably fulfills the cliche trope of on-screen women only being allowed to be femme fatales or maternal figures. Disney is back with the most popular man-cub of all time: Mowgli and company returned to the big screen. Continuing the legacy of the 1967 animated Disney film version of Rudyard Kipling's classic story, the latest incarnation of The Jungle Book (2016) is Disney's third live-action retelling. The reboot also boasts a star-studded cast, including Bill Murray, Ben Kingsley, Lupita Nyong'o, Idris Elba and Scarlett Johansson. Revisiting Bagheera the panther, Baloo the bear and Shere Khan the Bengal tiger will trigger childhood memories for Jungle Book fans, as it seems that the new version remains largely faithful to the original. However, one of the main characters undergoes a significant change: the seductive and alluring python Kaa (voiced by Scarlett Johansson) is depicted as female in the newest rendition. 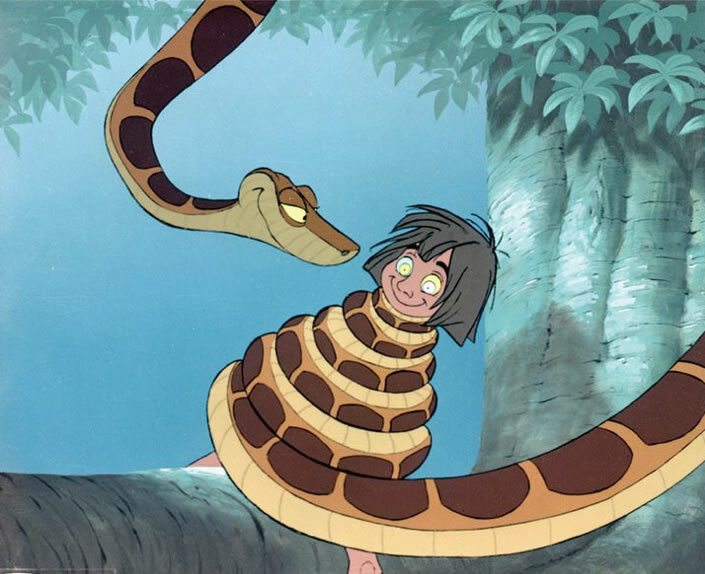 Although Kaa has been an integral part of all of the previous adaptations of The Jungle Book, the character has undergone modifications in the past. Originally in Kipling's book, Kaa was depicted as an aide or mentor to Mowgli. In the film adaptations, however, possibly owing to a Western prejudice against snakes, Kaa became an antagonist. This consideration of snakes as vile and conniving largely stems from the Biblical story of Adam and Eve. In the story, Satan takes up the form of a serpent in order to trick Eve into eating the apple from the knowledge tree in the Garden of Eve. The subsequent downfall of the paradise has given rise to the association of dangerous, seductive and morally impure women with snakes. In her interpretation as a seductress, Kaa is just as manipulative as ever. 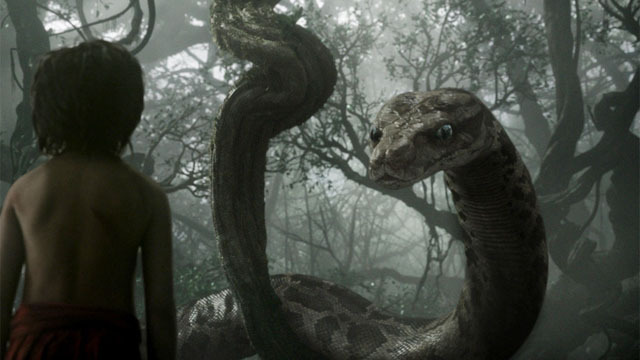 As heard in the film's trailer, which highlights her sultry voice and spookily sustained "trust me," the conniving snake also reflects upon Mowgli’s past as a means of ensnaring him. So why did Disney decide to make the change? Given Kaa's history of character changes (especially from his originally benevolent nature in the books), it is not surprising that Kaa's characteristics, including gender, are subject to rethinking. But by making a sinister character female (and even more intimidating than ever), Disney may open itself to the criticism that it plays on a harmful subconscious association between female sexuality and evil intentions. Choosing Scarlett Johansson -- an A-lister with a trademark voice that's attractive and familiar to audiences -- to play Kaa seems to be an indication of introducing a femme fatale in the movie that features a male-heavy cast. And the concept of a femme fatale is not new to cinema. Using the art of seduction as a concealment of true deadly intentions can be seen notably in movies through history by actresses like Marlene Dietrich in The Blue Angel (1930), Kangana Ranaut in Krrish 3 (2013) or Mary Astor in The Maltese Falcon (1941). Kaa is more of a multi-layered, complex character than an entirely evil one, explains director Jon Favreau. "Kaa is a tricky and strange character but not necessarily a villain," says Jon Favreau. "Kaa is more of a beguiling and hypnotizing character." Favreau offered another possible impetus behind making Kaa a female character, which was to balance out the primarily male cast. Other than Ka only one other female character, Raksha (Lupita Nyong'o), is part of the ensemble. However, in contrast to Scarlett's character, Lupita's Raksha, the matriarch of Mowgli's wolf family, is a maternal figure who sacrifices for her brood. The only two female portrayals in the male ensemble, then, are in firm opposition to one another. In this way, the film reinforces a stereotypical dichotomy: women can either be conniving seductresses or pure maternal figures. Though the 1967 version of Kaa was considerably alluring and manipulative, his being animated made him inherently sillier. Without the underlying comical quality of her male forebear, Kaa comes off less goofy and more as a slippery, coquettish femme fatale. The female voice's ability to represent seductiveness combines in a startling way with Kaa's hefty, frightening physical form. Given the overall move towards realism in this retelling of the tale, the contrasting voice and appearance were most likely chosen to heighten the snake's fearsome impression on the audience. Given Kaa's newly elevated sinister disposition coupled with her massive size, this incarnation of the snake is nothing short of terrifying.